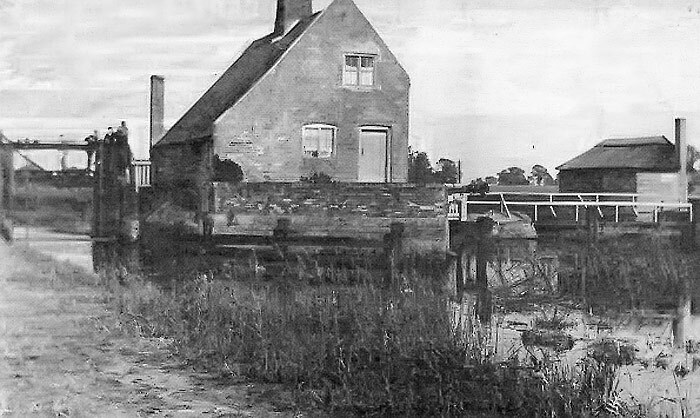 In the early 1700s, the Nene was considered navigable upstream only as far as the mill at Alwalton. 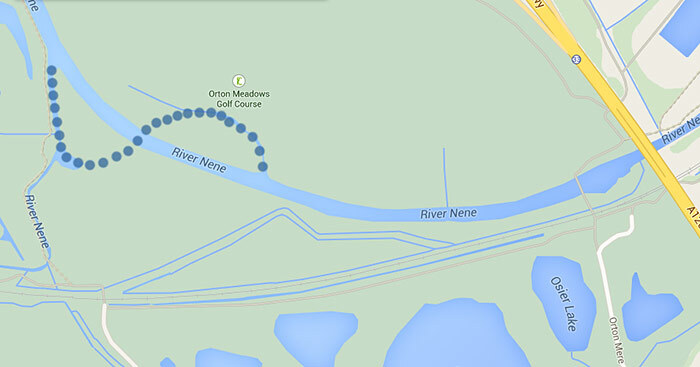 Beyond that the river course was regularly utilised by and punctuated by watermills which made navigation impossible. A printed document in 1653 had suggested the river could be made navigable at a cost of £8,000 by creating locks to bypass the watermills and staunches to control river depth but it wasn’t until a 1724 Act of Parliament that the plans were implemented. The theory behind the staunches was that the river flow could be dammed at various points to build up water levels above the staunches which would then enable barge traffic to move up the otherwise shallow river ….. a slow and hugely inefficient process but it worked ! 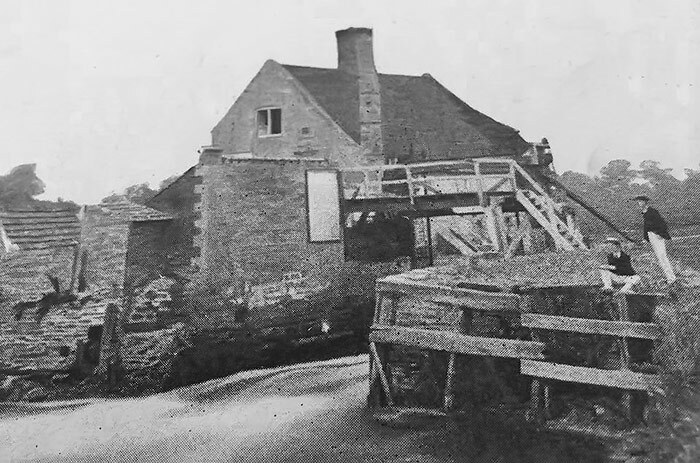 The navigation work was to be carried out in stages with the first section being the 22.6 miles from Peterborough to Oundle Bridge North and the contract for this task went to Robert Wright and Thomas Squire who started work in 1726 and completed the section in 1730. It was during these works that Orton Staunch, known also as Goldiford Staunch at the time, was built (Goldiford was believed to be derived from a ford that had earlier crossed the river at this point via a mid-river island known as Gold or Golde Island). The work was carried out at cost to the contractors who, in return, could charge reasonable levies at the staunches and locks albeit these were limited to what was considered a reasonable profit. The same Wright/Squires partnership subsequently took on and completed the second stage of work between Oundle and Thrapston in 1737. 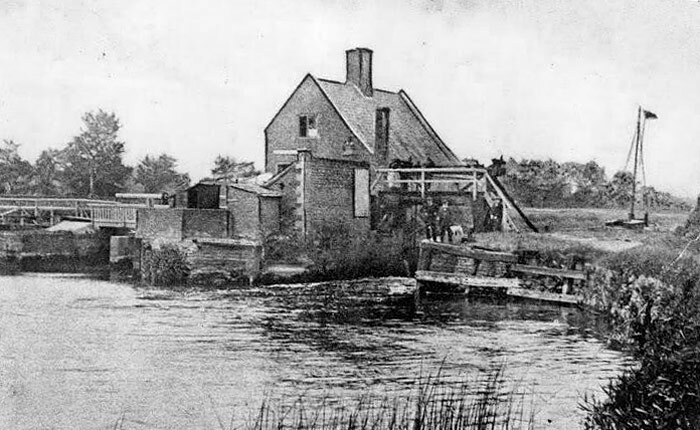 Despite the work carried out, poor maintenance and controls at the river staunches meant that by 1800 the river was once again only deemed navigable as far as Alwalton which resulted in the Nene’s Commissioners using a further Act of Parliament to force Wright and Squires to take action. 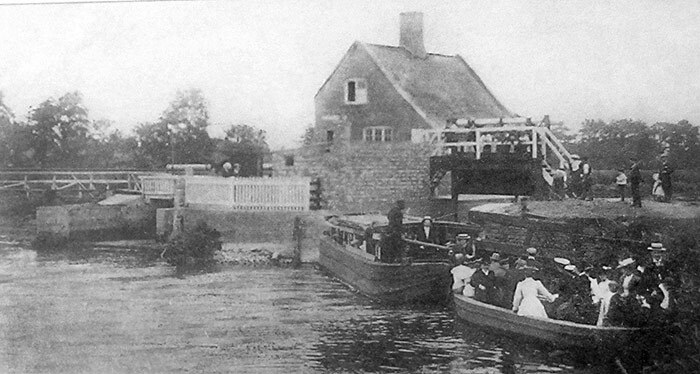 Despite their efforts, the volume of river traffic remained low with tolls totalling less than £500 per annum along the Peterborough to Thrapston length. In June 1825 the Stamford Mercury carried an advert from the river’s commissioners looking for a new contractor to improve and develop Orton Staunch. It is not clear who took the task on but nearby Alwalton Staunch was similarly improved in 1837 by Thomas Atkinson so he may well have been involved. 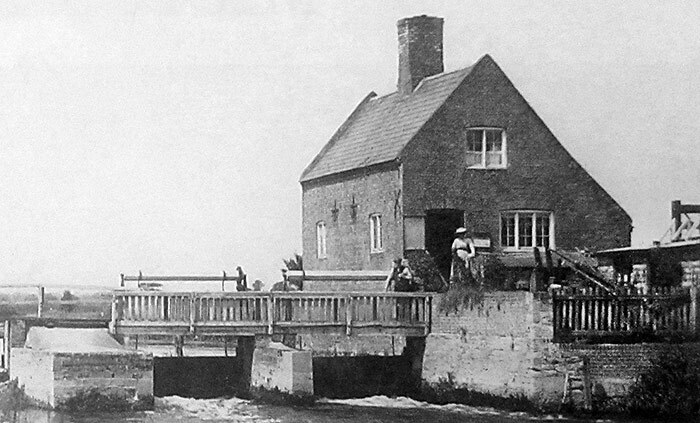 In 1830, the lock keeper was known to be Joseph Watts who lived at the lock keeper’s cottage with his wife Lucy but Joseph died in 1843 leaving Lucy to take on the task of “toll collector”. By the time of the 1851 census, Lucy was still in charge at the lock keepers cottage but had Thomas Simpson working as book keeper and 13 year old Orton girl Charlotte Burton working as a servant. 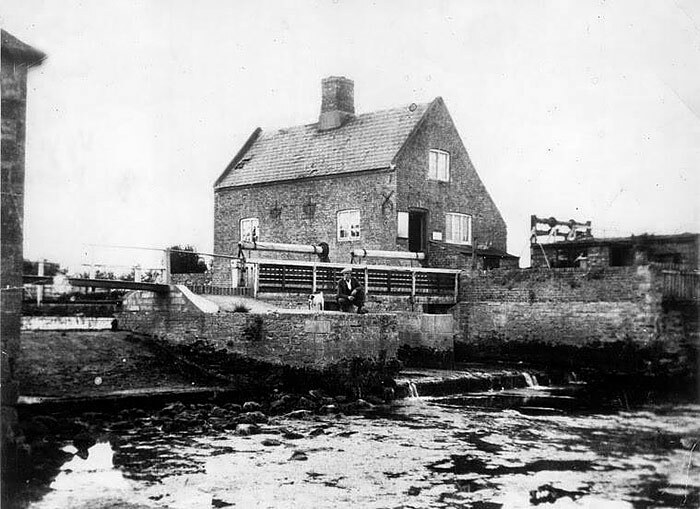 The early 1850s were tough times for Lucy as the arrival of the railways had seriously reduced the amount of river trade and the exposed lock keeper’s cottage had also become a target for local criminals. In 1852, a well known group of local villains had armed themselves with guns and iron fixtures stolen from a nearby farm in Longthorpe to break into the cottage, stealing the toll monies and putting both Lucy and Thomas through a frightening ordeal for which they were subsequently punished with deportation to New South Wales ! Shortly after this ordeal, a new lock keeper took over with William Peck reported as being in residence by 1856 but it was all change again by 1871 with Woodston born George Langton in charge, stating his occupation as both lock keeper and shoemaker ! The 1881 census recorded Orton Staunch as Overton Staunch with James Tucker Treliving collecting tolls, a task that he was to continue until his death as a 76 year old in 1911. Taking over from Treliving was Great Billing born Albert Edward Rose who stayed “on board” until 1922 when the last of Orton Staunch’s lock keepers, William Alletson, took over. By 1930, the river was being reported as in a state of “unparalleled decay and dilapidation” with river levels so low in the Orton area that locals were able to casually walk from one side of the river to the other ! 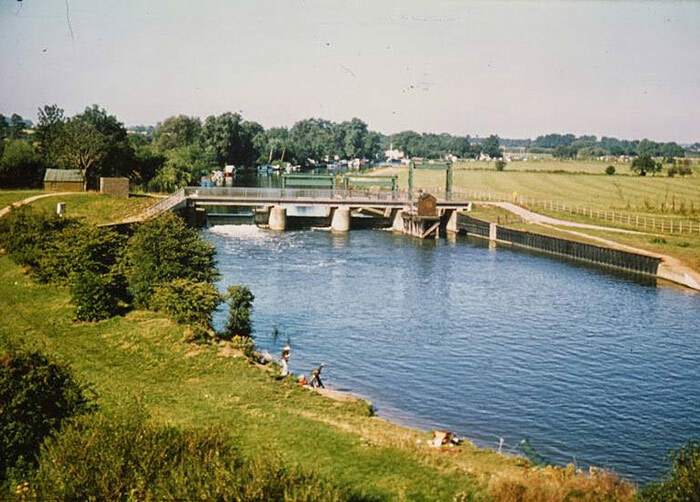 Engineer to the Nene Catchment Board, HW Clark, put forward a plan in 1930 to completely rebuild all the river’s locks and to move the tidal salt water barrier from Woodston Staunch back to a new lock and sluice at Dog In A Doublet. 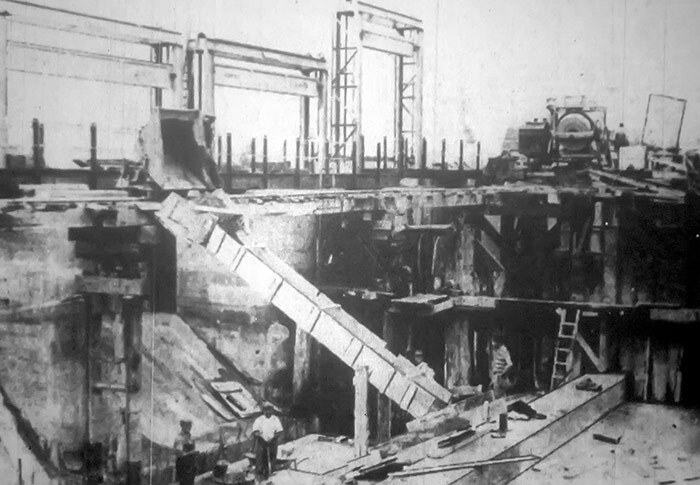 Once the new tidal lock had been completed in 1937, work moved upstream to Orton Staunch and the old wooden staunch, complete with lock keeper’s cottage, was dismantled in April 1938 in readiness for today’s concrete and metal structure which was completed in 1939. Incidentally, the Alletson family were moved out and granted the meagre alternative of a houseboat moored at Alwalton! William Alletson – the last keeper – died in 1946. Clark’s plans for a more navigable river included the removal of two “sticking” points where the river flow was being slowed down by sharp meanders. These two “s-bends”, one just north of the staunch and one further upstream, just south of the railway bridge were both replaced with newly cut straighter channels.